Atkins. Paleo. Juicing. Every few years a new diet will come along to grab headlines and promise weight loss based on eating only specific foods or following specific dietary regimens. However, these fad diets rarely lead to prolonged weight loss since they do not incorporate long term changes to lifestyle. 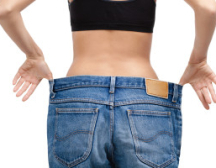 When dieters deviate from the specific plan of the fad diet, they typically gain weight back. The most successful dieters have an achievable, long term plan based on eating a variety of healthy foods and they work with their primary care physician to make sure it’s the right plan for them. One of the more famous fads of recent years has been the “Raw Food” diet, based on the idea that most healthy food enzymes break down when food is cooked above 116 degrees, so all food should be eaten raw or cooked at a very low temperature. While this encourages people to eat lots of raw fruits and vegetables, which is important, eliminating grains and meats that require cooking can lead to vitamin deficiencies and can make adherence to the diet quite timely and difficult. Even if the diet is relatively healthy, unless it is easy to follow, it is unlikely to produce long term weight benefit. In addition to eating regimens that are based in healthy habits, there are also a number that can have negative effects for dieters from a nutritional perspective. A protein-heavy diet (like Atkins), a juice diet, or diets incorporating periods of fasting actually can be dangerous to the dieter. Relying too much on a single food group or completely restricting calories may help a dieter lose weight in the short run, but dieters are likely to gain that weight back and potentially develop other health problems in the long term. While it can be easy to get excited about the latest fad diet, long term weight loss and control is best achieved by eating a variety of healthy foods, staying active, and actively monitoring portion control at mealtimes. Those who are interested in long term weight control should talk to their primary care physician about the options that are best for them and actively set up a plan. For people in Atlanta who are interested in weight control or weight loss, Dr.Zack Charkawi at Johns Creek Family Medicine can be contacted for a weight loss consultation appointment.